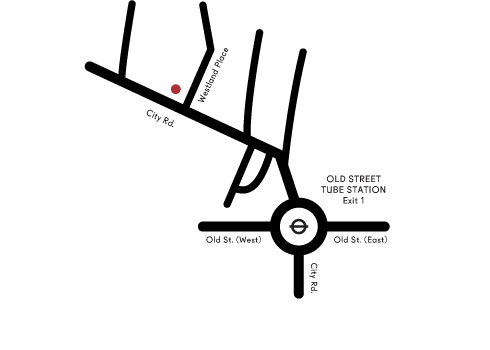 The easiest way to reach us is from Old Street Tube Station. Leave the station using Exit 1 and walk up City Road towards Angel for approximately 2 minutes. We are near the junction with Westland Place and City Road.